Sokolis Group can't predict the future. What we can do is give you the resources to help you control your future diesel or gas prices and be prepared in case of emergencies. 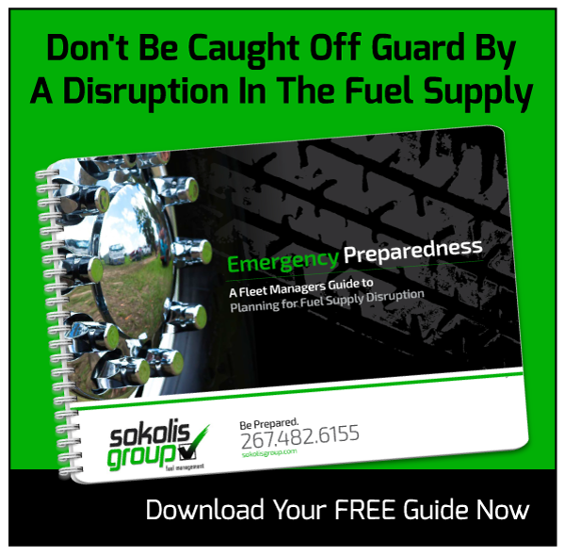 When you partner with us, Sokolis Group will work alongside you to design a fleet fuel risk management program and help insulate your company from dramatic price fluctuations and disruptions in the supply. Our emergency fuel management program can help you deal with the unexpected by crafting back-up plans to ensure you have access to diesel fuel and generators during a fuel disruption. We'll also help you come up with a disaster recovery strategy to help you resume operations after a catastrophic event. Over the years, we have been able to leverage our strong supplier network to implement emergency solutions for clients during periods of disruption.